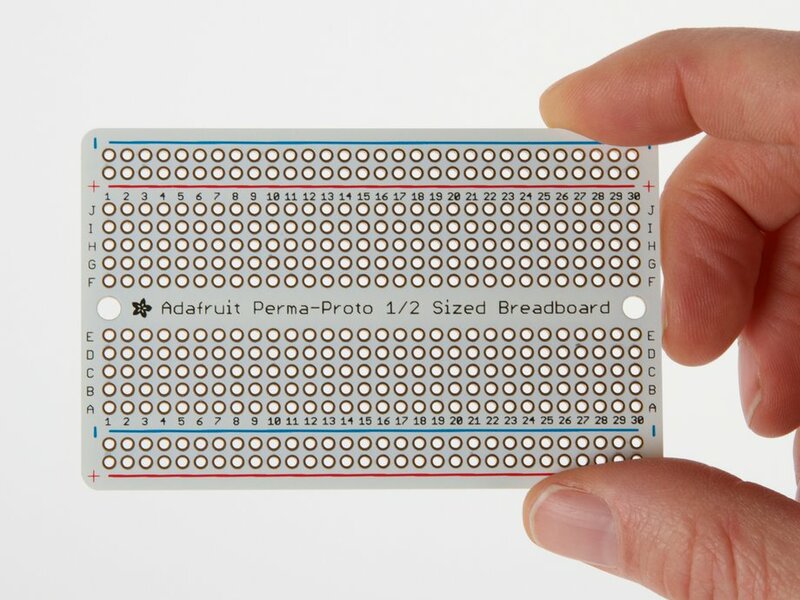 This proto-board by Adafruit is the PCB you always wish you had, but never realized it! 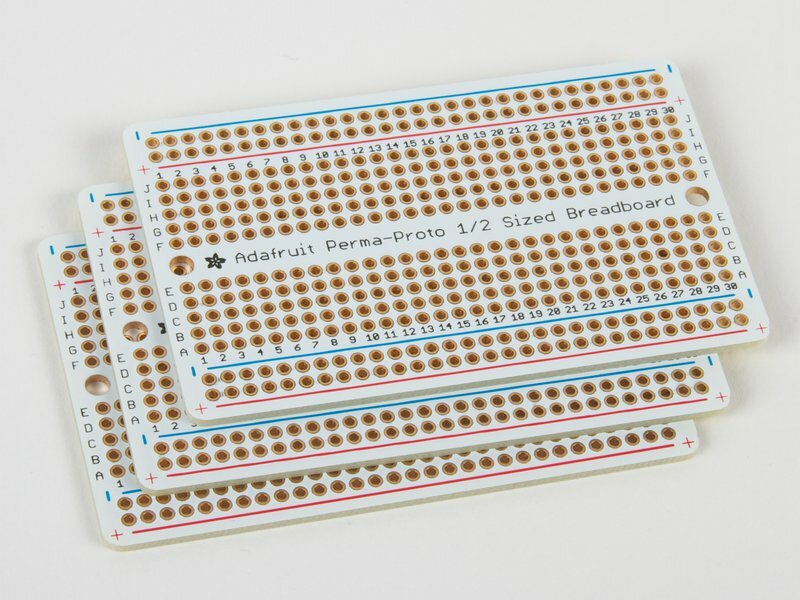 It has the basic layout of a half-sized breadboard (basically, a 'tiny' breadboard plus power rails) in the form of a beautiful PCB. 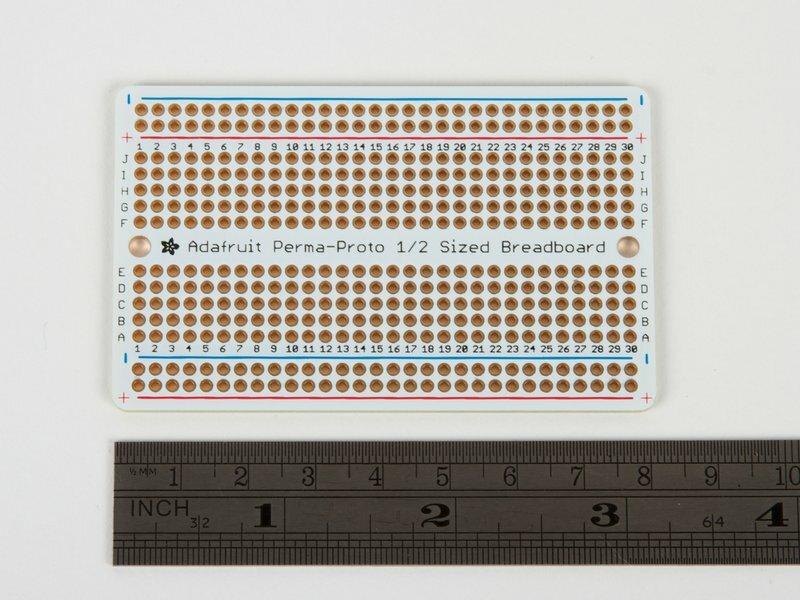 The top side has a white silkscreen, and the same markings you're familiar with, to make transferring components easy. 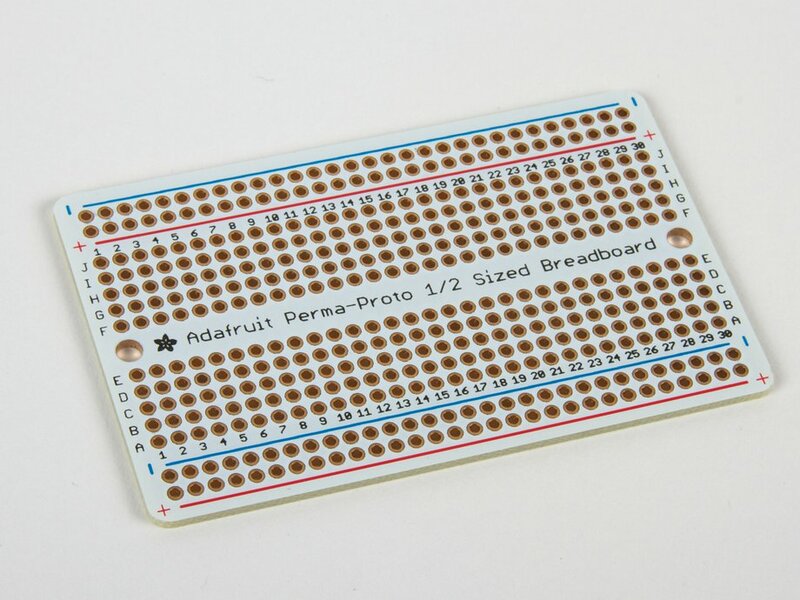 The bottom has the 5-hole pad design that matches a classic breadboard, with 4 power bus lines on the sides, and no mask so you can easily cut traces when necessary. 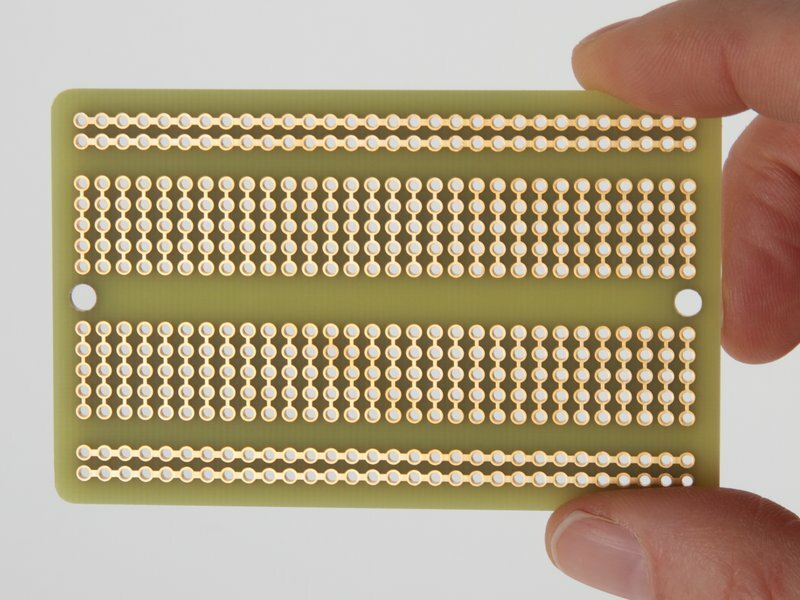 It has 1.2mm diameter drill holes so even parts with big leads will fit. All holes are thru-plated for strength - these wont peel off with rework. 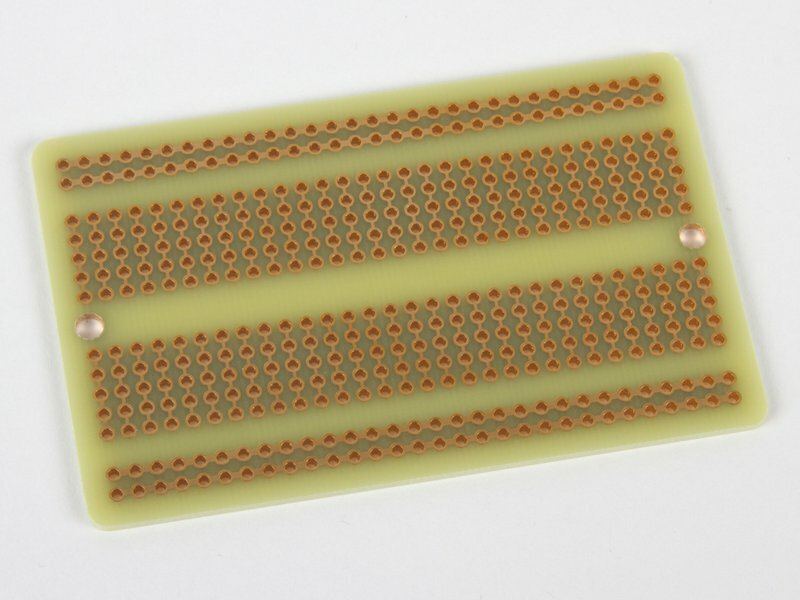 The finish is a gold plate - you won't get oxidation like with bare copper perfboard! There are also two mounting holes so you can attach the PCB to your project box.